The Mario Party series has seen an array of playable characters throughout its decade long history. We have seen expected additions made over the years like Boo and Toadette, but we have also seen some random and out of left field characters like Blooper and Hammer Bro. Many characters take their spots as non playable characters all throughout the series, but it is only a matter of time before they become playable too. Mario Party 9 may have taken the character roster back to the basics, but that doesn’t mean they won’t be adding onto the new selection in future titles. 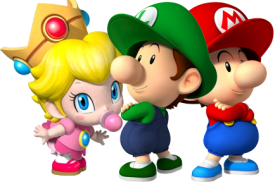 The babies, specifically Baby Mario and Baby Luigi, have been sought out and expected to appear in a Mario Party game for years. Having appeared as playable characters in a wide assortment of Mario spin-offs, the chances of seeing the the baby versions of our favorite characters appear as playable characters in a Mario Party game are not slim. Size is not an issue as they are all roughly the same size as Toad and Shy Guy. 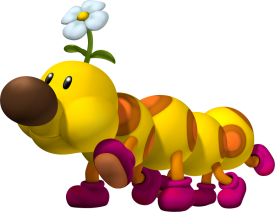 Wiggler has made small appearances here and there in the Mario Party series, but Mario Party 9 saw his biggest involvement in the last two games, Mario Party DS and Mario Party 9. In Mario Party DS, players rescue Wiggler’s garden from the clutches of a Piranha Plant, while Mario Party 9 has players battling Wiggler in a boss battle. 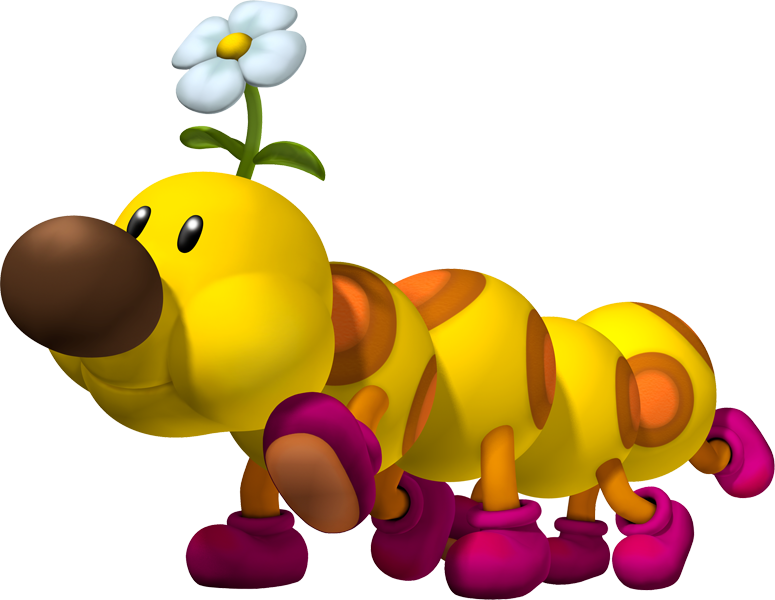 As Mario Power Tennis and Mario Kart 7 have proven, Wiggler is capable of a playable appearance. 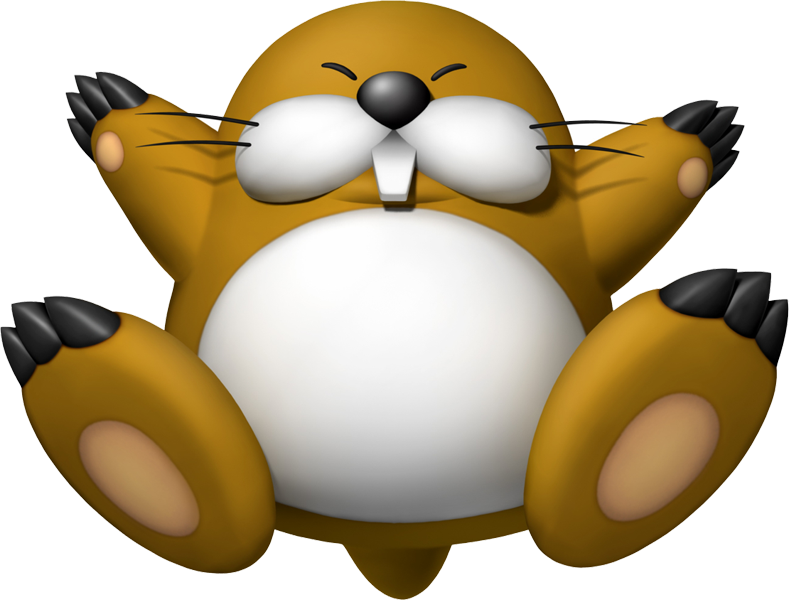 Once characters like Toad and Koopa leave the non playable scene, characters like Monty Mole show up and replace their old duties. They can be seen running shops and scampering around minigames and even in the Magma Mine board from Mario Party 9. 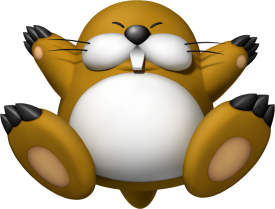 Mario Super Sluggers and Mario Strikers Charged have shown us that this little mole is capable of taking the spotlight. 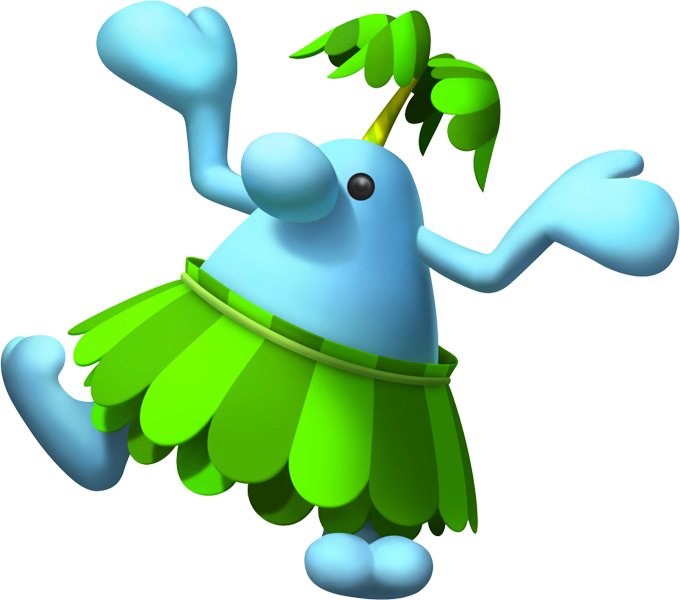 The Mario baseball series has surprisingly been the only series to feature the Pianta race as playable characters. Mario Party 8 saw the first appearance of a Pianta in a Mario Party game, and this continued on in Mario Party 9. 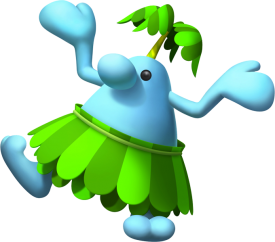 The Pianta race is one of the few that function like other characters with two arms and two feet, so it shouldn’t come to anyone’s surprise that a Pianta becomes playable. It truly is only a matter of time. 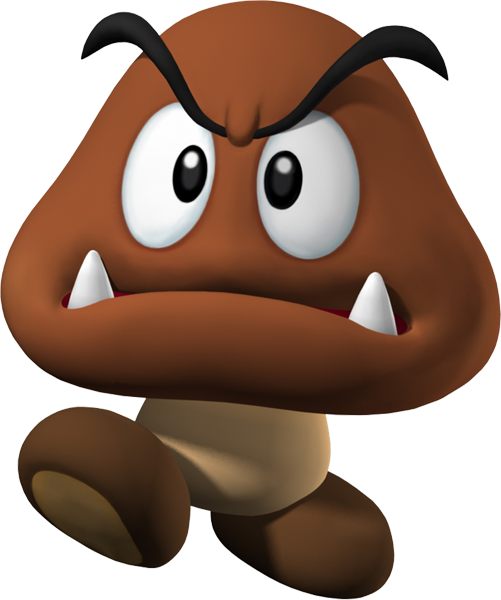 Goomba has appeared in every single Mario Party title to date, and he even got himself a hosting position in Mario Party 4. Again, as the Mario baseball series tell, just about anyone in the Mushroom Kingdom is capable of participating in all the wacky events Mario seems to partake in. No arms or hands might seem like a problem, but if Boo and Blooper got in, Goomba is only a short time away. Executive Editor and Founder of Mario Party Legacy. Head Administrator at the Mario Party Legacy Forum. She´s also one of the character´s many would like to see in more mario-games! who in the world is Rosetta. Rosetta is Rosalina’s Japanese name. Wiggler isn’t my favourite option. Pianta has to be a character on the background in my opinion. Magikoopa:Well Rosalina you maybe won’t be able to party,becaus you’re not in the game. Wiggler couldn’t fit unless BOTH scenarios occured: the car was bigger, and “Boss Battles” were eliminated. Monty Mole would be another perfect one. Pianta would be better as a background character. Same thing for Noki. wiggler will fit in the car, because he can sit down and do what he does on mario super sluggers. Where are Rosalina and Honey Queen? well i think another great addition to the future mp series would be bandit he would make a perfect partner for shy guy in the mp series if nintendo decides to remove kamek. No #$%&@ing way they are not remmoving bowser’s top minion/the greatest mario character,Kamek! You failed to mention Rosalina. I also think they should add retro boards like marios rainbow castle from mp1 and they should add rosalina she would also make a great addition to the mp series. Hammer Bro. : Uh, Hello what about me,goomba,dry bones, and my bro.,Fire Bro. being playable. Goomba should be playable fernando.Oh I get it the no hands or arms thing again.Well how did he hold the bat on MSS and MSB. 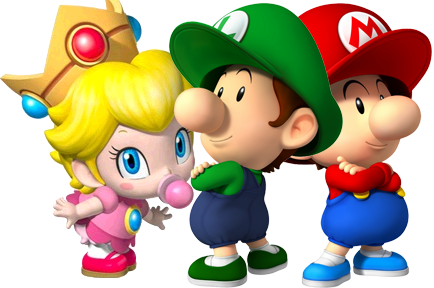 DLC with Toadette included along with Baby Mario, Baby Luigi & Baby Peach for Mario Party 9. 8th Board with Rosalina hosting instead of that Yellow Toad. Pokey and Petey Piranha as bosses. Dino Piranha as the final boss. Include Non-player ables; Red Toad, Purple Toad, Red Yoshi, Light Blue Yoshi, Orange Yoshi, Nokis, Boomerang Bros, Parakoopas & that Cheep-Chomp (that tries to eat the players in New Super Mario Bros wii). I like your idea of characters who aren’t in the game can be added via downlodable content. your kinda right it should be called rosalina’s space station,rosalina’s star ship,or rosalina’s warped orbit!and when you beat it you can play as rosalina herself! Mario Party 10 would have Minigames and Environments from Super Mario Galaxy 2, and would have all 12 playable characters from Mario Party 9 plus Boo and a new character who is Rosalina, resulting 14 playable characters. And the hosts would be Lubba for the Boards, Honey Queen for the Minigames and The Chimp to do the Almost There event. Ok, here’s MY list of playable characters! Shadow Mario- Yes, he’s old, but he is one of mah favs. Babies- Now THAT would be a good addition! Shy Guy- Even though he’s already playable, he is my absolute FAV! Keep him!!!!!! Paratroopa- This would be a good addition! I think these would all be good additions! what do you mean about boo and blooper,oh so hammer bro. can be playable too right?Fire Bro.? hold on a second.five characters waiting for a spot in mario party. What Mario Party? Yeah,Mario Party Legacy what about rosalina,the fans are cheering for her,I mean i just feel she is a great partier,so just add her.I don’t exactly care.But then I felt like the fans when I found out Hammer Bro. was not playable,but now i Know he is.You know these fans,listen to the fans!Thank You! By the way when is this going to happen(about the characters being playable)Please just announce it already.You haven’t said anything after you said the solo mode part 4. Baby Waluigi Never Made an appeareance. What about Toadette she hasent been in mario games for almost 4 years. WHAT ABOUT HER!!!!!!!!!!!!!!!!!!!!!!!!!!!!!!!!!!!!!!!!!!!!!!!!!!!!!!!!!!!!!!!!!!!!!!!!!!!!!!!!!!!!!!!!!!!!!!!!!!!!!!!!!!!!!!!!!!!!!!! Thats not true and theres no reason to be mean. Well, She’s Not Quite Dead, you supose. Why do you said that? She First Killed Toadsworth and then Toadette Comitted Suicide. Hammer Bro says:You’re right Toadette’s the best(by the way she is not the best),I know you’re a pain in the? @% but you’re right you’re my main nemesis and as much as it pains me to say it Toadette is coming back in Paper Mario(3DS). 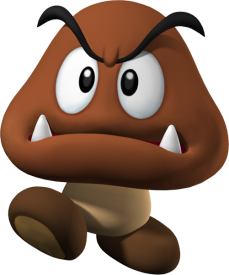 I wouldn’t mind Goomba,Monty Mole,and Pinaa,but how will Goomba play the mini-games without arms?I also don’t get the point of taking away old chracters to begin with,excluding Dry Bones in MP9.